Since I’ve unfortunately fallen a bit behind on reviewing The Muppets, I’m going to be playing catch-up in my next bunch of posts, reviewing the rest of the season one episode at a time. And here we go! 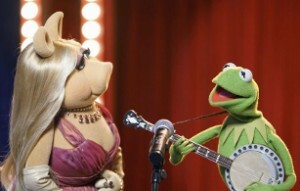 As anyone closely following The Muppets knows, there has been a bit of backstage drama surrounding the overall creative direction of this still-young series which ultimately led to one of the showrunners, Bob Kushell, leaving and being replaced by Kristin Newman, who has co-executived such beloved cult series as Galavant and Chuck, and who promised to help the show course-correct, keeping the new innovations that work while restoring some of the heart and zaniness that many long-time fans felt were missing from the early episodes.